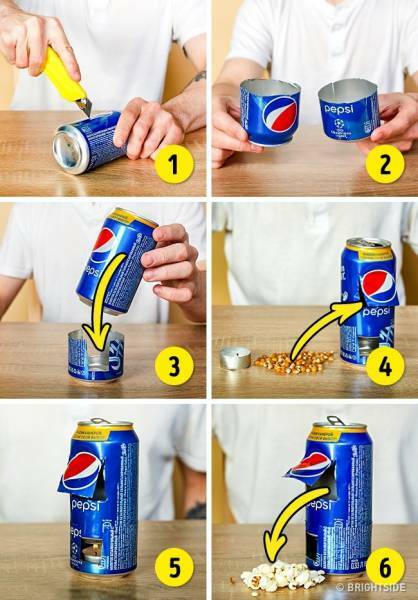 How to make it: You need 2 empty soda cans. Cut them open as shown in the photographs, and place one on top of the other. Put some popcorn in the top one and a candle in the lower one. In about 10 minutes, the can will heat up and the corn will start popping.